The V flex knife is designed by Mats Longrane, a Finish designer, with a Japanese thread clips motif, and has a characteristic unique handle. The cushioning handle is comfortable to grip, and will make for enjoyable cooking. Just hang it up when not in use to provide a stylish accent to your kitchen’s interior design. 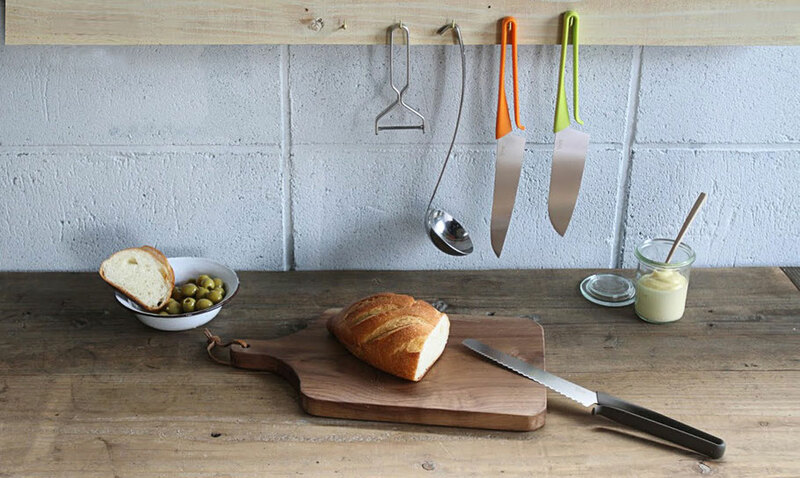 Thin and small stainless steel blade cut clean, suitable for children,student and beginner cooking, alone or with friends, on a kitchen table,at a picnic or camping. 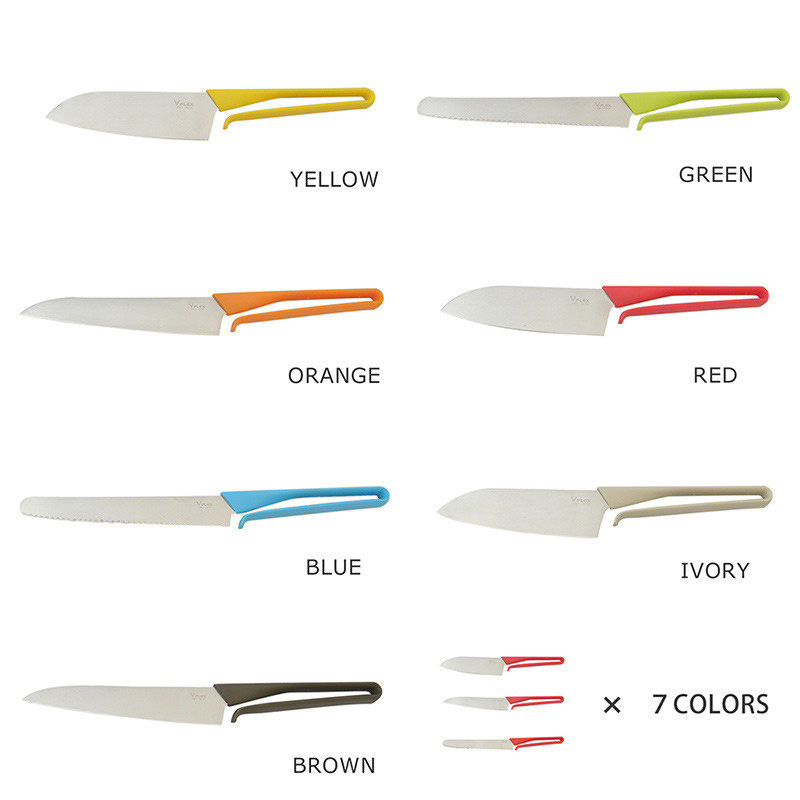 This is an ideal knife, quality made in Japan, at a reasonable price with design and color variation, and easy to store.